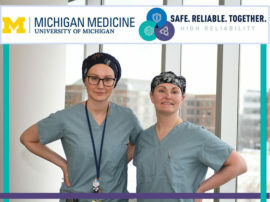 Thanksgiving is here — and Michigan Medicine team members have shown that they have plenty to be thankful for this holiday season. From family and friends to colleagues and critters, employees reached out to Headlines to discuss what is most meaningful to them this time of year. Check out what they had to say below. And whether you’re spending Thanksgiving with your work family at Michigan Medicine or with your friends and relatives at home, all of us at Headlines wish you a happy and healthy holiday! Sarah Guenther, lab technician, chemical pathology: I am so thankful for all the staff in the Brandon NICU. They have blessed my family by loving and caring for my little boy for seven months, and they ultimately saved his life. Hail to the Brandon NICU and all the Little Victors! Happy Thanksgiving! Janine Driver, marketing and events coordinator, Adolescent Health Initiative: I’m thankful for all the folx who hold space for the transgender and gender non-conforming community. I am especially thankful for those who actively ask others what their pronouns are upon introduction. 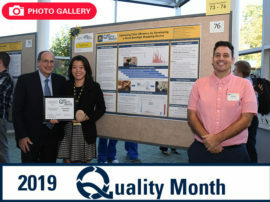 Dana Habers, chief department administrator, Department of Radiology: I am grateful to witness first-hand every day the ingenuity and perseverance of the human spirit. Tina Ronders, clinical referral coordinator, pulmonary and critical care/nephrology clinic: I am truly thankful this year for my family and their well-being. I am also thankful for my friends and coworkers for their understanding and support. Finally, I am most thankful for my improved health and well-being. I am working on making a better me each day! Becky Sitz, administrative assistant, pharmacy services: I’m thankful for the work of the AFSP (American Foundation for Suicide Prevention). They have helped my family through some very difficult times and I’m grateful for my coworkers who raised money and walked by my side to bring awareness to this issue. Stacey Fogarty-Brown, R.D., pediatric hematology oncology: I am so thankful for my rainbow baby, born last year after suffering from pregnancy loss and infertility for more than a decade. I am also thankful for all of the patients and providers in the pediatric hematology oncology clinic, who fight pediatric cancer tirelessly all year long. Jina Sawani, associate multimedia communicator, Department of Communication: I’m thankful for inner peace and the love of my family and friends. John French, biomedical engineering technician, clinical engineering: I am thankful for my faith and the salvation, forgiveness, deliverance and prosperity it provides. I will be with family and friends on Thanksgiving Day eating great home-cooked food and I am thankful that they are thankful for the same things I am. Happy Holidays! Danette Rod, EEG technologist: I am so thankful for a great team that I work with. It can be challenging to work in the health profession, but when you have a great team there to support you it makes it so much easier. You are all amazing people! Natalie Gulau, administrative assistant, ob/gyn: I am thankful for the university! I celebrated my five-year work-iversary this October and I’m grateful for the teams I’ve worked on and friends I’ve made along the way! Wendy Lamentola, financial specialist, Operations & Ancillary Services: I lost my mother last year between the holidays. The year before it was my dad. The last few years have been pretty tough on our family, however, from this I took a step back and thought of 10 things to be thankful for: family, good health, 32 years of employment at Michigan Medicine, a roof over my head, showing kindness, my faith, family dinners, providing memories to my kids and grandkids, and carrying on a wonderful legacy that I learned from my parents and grandparents. Wendy Tow, medical assistant specialist, gastroenterology: I am thankful for my family and friends. Laura Swope, R.N. : I am most thankful for my family, my health, friends, work and my beloved pets. I am also thankful to be a cancer survivor times two. 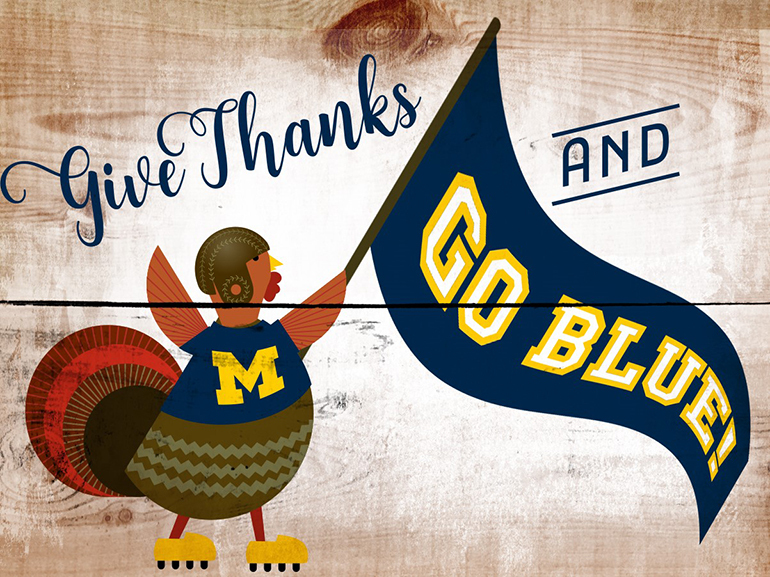 Tahra Luther, research lab specialist, U-M Medical School: This is my favorite time of year because there is a particular feeling of gratitude all around. I am so grateful for every day of my life, waking up with a brand new 24 hours ahead. I am so blessed to have all of the loving family, friends, a sweet little fur baby, career in medical research, wonderful home, etc., that I do. Overall, though, I am just so grateful for living and being able to experience every moment, good or bad. Debbie Camarata, reading room coordinator, East Ann Arbor radiology: I am thankful for the patients I work with each day. They remind me to be grateful for my health and to maintain a positive attitude. I am also thankful for the people I work with. My coworkers and team leaders are amazing and are like an extended family to me. Nan Weber, medical records specialist, Frankel Cardiovascular Center: I have physical health, a roof over my head, a loving husband and a job that I enjoy. I also am thankful for the lives of two of our pet kitties, whom we lost to illness and old age on the same day in October. Thanksgiving is a way of life with me, not just a day. Dawn Brown, business systems analyst, MICHR: This holiday season, I count myself grateful to work among professionals, including our leadership team, who are deeply committed to excellence in clinical and translational research. I am so proud of our collaborative and constructive culture, and want to thank each of my colleagues for their dedication! Amy Daly, reading room coordinator, Taubman Center radiology: I’m most thankful for my house — it’s not very big, but it’s warm and cozy! I’m also thankful for my family, especially my father, who is a great listener and very kind. Last but not least, I’m grateful for my wonderful husband and dog — they both make me laugh every day! Annmarie Thomas, contract and grant specialist: First, I am thankful to my creator for my existence. 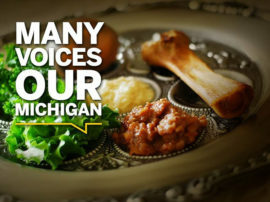 I am also thankful for my health and the various programs that are offered through Michigan Medicine that contribute to health awareness. I also have wonderful family members, friends and coworkers who have positive attitudes that contribute to my healthy state of mind. Kimberly Williams, student administrative assistant, College of Pharmacy: I am thankful for my family and friends, especially with my dad passing away unexpectedly earlier this year. It really made me even more thankful for spending time with my family and friends because life is way too short not to value those that mean the most to you and to enjoy life! 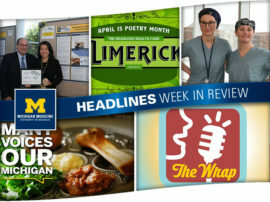 Headlines team: We are thankful for our readers and listeners. 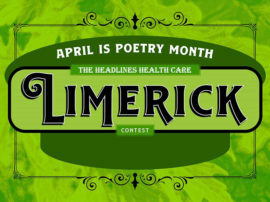 You are all talented individuals who help patients, families and each other every day. Go Blue! 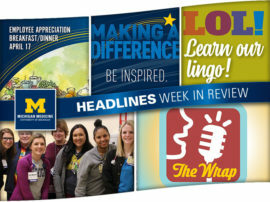 Faculty and staff also shared what they are thankful for in a Thanksgiving-themed episode of The Wrap. Click here to listen!